KYANIKA – Grief and sorrow have engulfed the Ugandan side of the border at Kyanika Wednesday, March 27 after a pregnant woman in her mid-30s collapsed and died trying to flee Rwanda Army who tried to stop her and other from crossing over to Uganda to look for food. Kigezi Regional Police Spokesman Elly Maate has confirmed the incident and identified the deceased as Mukarugwiza Elizabeth aged 37 years and was a wife to Hakizimana Dan a resident of Kingi Village in Nyamirima, Musanza District in Rwanda. Maate told this Online Publication that the deceased was in a group of other people who tried to use a porous border entry point (Panya route) to enter Uganda where they hoped to buy food but were chased by Rwandan Army who tried to stop them. When she got exhausted, Mukarugwiza who was heavily pregnant collapsed when she had already crossed on the Uganda side of the border in Rukoro village, Nyakabingo parish in Chahi sub-county in Kisoro District where she died. “We have registered a case where a Rwandese National who was escaping arrest from Rwanda Army as she tried together with others to enter Uganda and buy food”. Maate said. 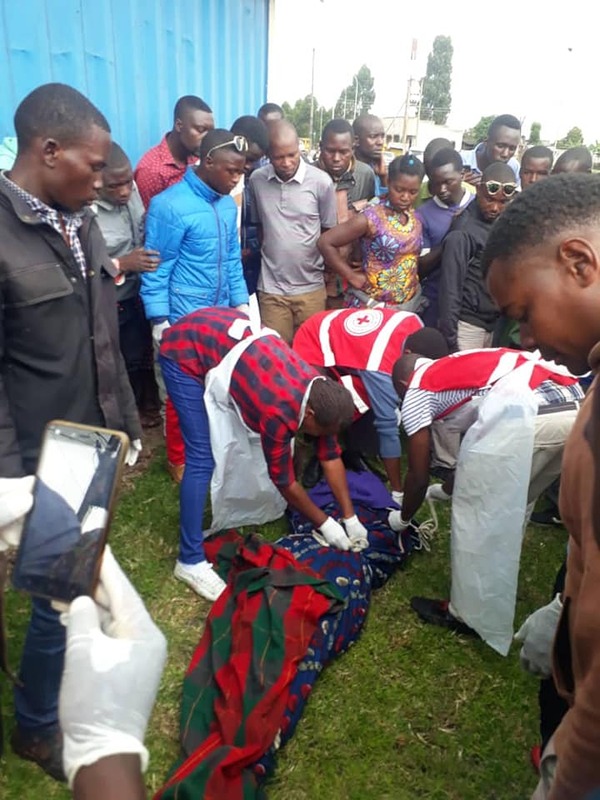 The Regional Police Spokesman said that the incident took place at around 10:00 today March 2019 and the body of the deceased has been taken to Kyanika Border Police point for a postmortem to be carried out. The incident comes after a month of the border closure by Rwanda Authorities which has affected trade, people free movement and business between Uganda and Rwanda. Maate said that a case has been registered under reference number SD 07/27/03/2019 at Kyanika Border Police Post and the Police are awaiting further instructions from the Ministry of Foreign Affairs on how to hand over the deceased body to the husband Hakizimana Dan. Kisoro Resident District Commissioner Peter Mugisha has visited the scene where the deceased collapsed from together with the District Internal Security Officer and OC CID.